The Paris Diaries, Part 2: Let Us Eat Cake! Paris is full of cafes, boulangeries and brasseries. And, we enjoyed a lot of them. But a few stood out among the rest. LaDuree is something of a phenomenon in Paris. 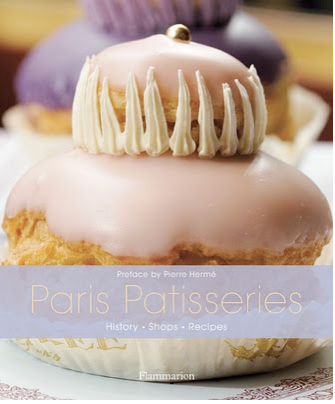 They are known for their macaroons — which come in a rainbow of colors and flavors — but it was this pink confection on the cover of Paris Patisseries Paris Patisseries: History, Shops, Recipes that my youngest son picked when we visited the location on Rue de Bonaparte. The Style Saloniste did a wonderful write up on the book— the photography by Christian Sarramon is enough to make you you skip dinner and go straight to dessert! Cafes are the rendezvous spot — where people sit, visit and eat…and watch the world go by. 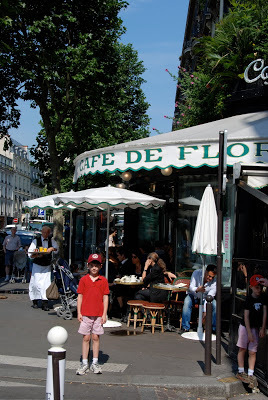 My son, Carter, would tell you his favorite place to eat was Cafe de Flore. One of two very famous cafes (the other is Les Deux Magots) a block from our apartment, we would usually go for breakfast. 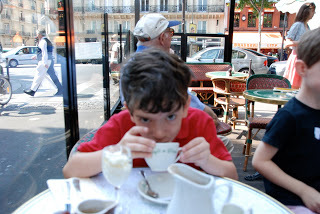 Carter is sipping his beverage du jour — chocolat! For my birthday dinner, Grant treated me to an all out culinary experience — L’Arpege. The brainchild of famed chef, Alain Passard, the restaurant is small, quiet and on a street that would not invite walk ins. Passard dabbled with being a vegetarian at one time and so he is known for his love of vegetables — and raises them to a revered level. My risotto with fava beans and asparagus was topped with rose petals. It was perfection on a plate. Only in Paris! 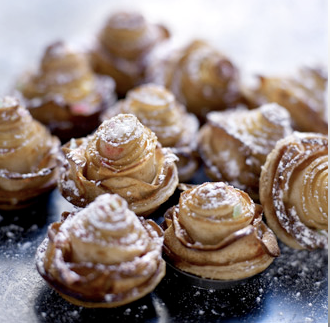 While we had a delectable strawberry Napoleon for dessert….the restaurant is known for the rose shaped apple tart – seen above. I love that we had the opportunity to tell Passard in person how wonderful everything was…as he visited each table during our evening meal. On my final day, I was fortunate to have my friend, Andrea, arrive with her family. 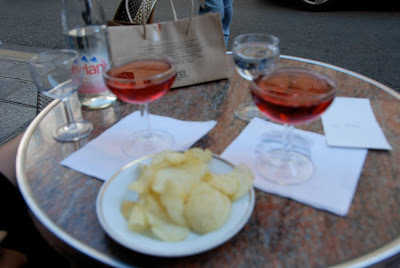 While the dads took the boys to the Catacombs —- she and I hit the shops and enjoyed a kir royale on Rue Saint-Honore. Followed by dinner with our guys at the supremely hip, Hotel Costes. 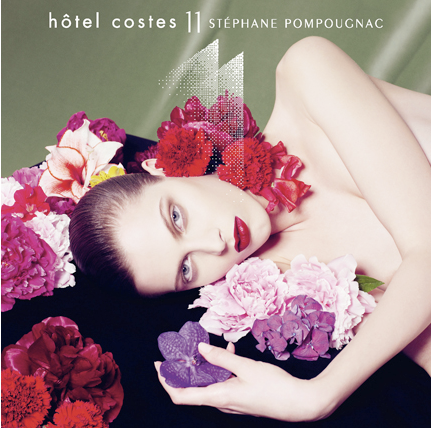 Since I only had 2 grown up nights out…I was thrilled to absorb the ultra cool vibe at this tres chic restaurant – known for their mix Cd’s, compiled by DJ Stephane Pompougnac. It’s a good thing we came home — if we had stayed any longer, I might not have been able to zip my dresses! 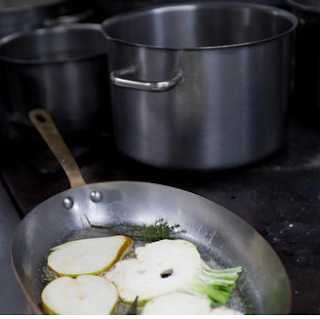 What’s your favorite culinary experience? I especially love the image of your son sipping from the mug…quite cute! Your trip looks amazing. My favorite culinary experiences are plentiful…there are many restaurants that really are dining experiences in NY (as you know) including Westchester's Stone Barns (yum!) Also, I love being a little chef in the kitchen! Laduree was by far the best place for breakfast… Every day on my way to work, I'd stop by the one on Rue Royale and have my cafe au lait and pain au chocolat. It's amazing I didn't put on 100 pounds! Love L'Arpege and L'Orangerie comes in at a close second. So jealous of you and your trip! Gorgeous picture of the breads/baguettes. They just do it right don't they! 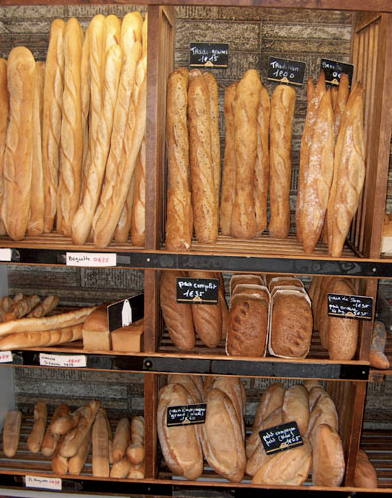 I have 2 sister-in-laws in Paris, one lives next door to the best Boulanger in all of Paris. My favorite culinary experience is one where all parties enjoy the experience, calories and all! Glad to see you enjoyed yourself! Guess it is back to reality, yoga and portion control! Your risotto sounds amazing as well as all the other goodies. 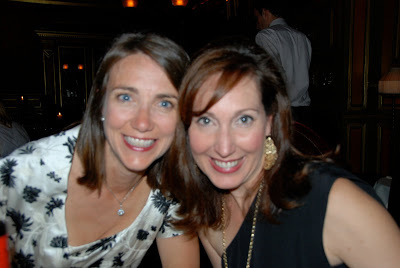 What a fun treat to be able to spend some time sneaking away with a friend in Paris! We just returned from California where we enjoyed a variety of fresh ingredients in every meal ~ our fruits, vegetables and fish in Connecticut just don't compare to theirs. Hamptontoes – every day…my boys had their "chocolat"! Love that Stone Barns!!! 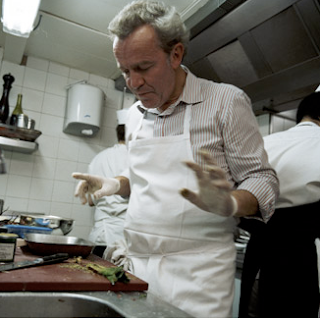 Buzz – your time in Paris sounds magical. Love that LaDuree. It was one place that actually exceeded my expectations! Alexis – I have never eaten SO much bread! pve- I agree…the meal is more than the food. Back to yoga and portion control indeed! Jo- how fun to go to California. That's on my list, as my boys have never been. I want to take them to see where we lived in SF…and of course, they want to go Legoland!! Thank you so much for your mention and link. Your family trip looks lovely. Especially L'Arpege, How wonderful. Thanks so much for stopping by. I have so been enjoying your blog! A friend gave me the book before I went to Paris – my son recognized his favorite treat when we got home. I was so happy to see your write up. Your blog is darling as well. Hi Cristin – so happy you stopped by and said "hello"! Style Attic — Paris was indeed very "filling" one many levels! But, always good to be home! !